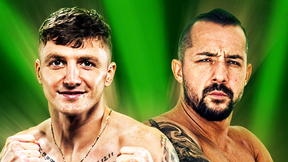 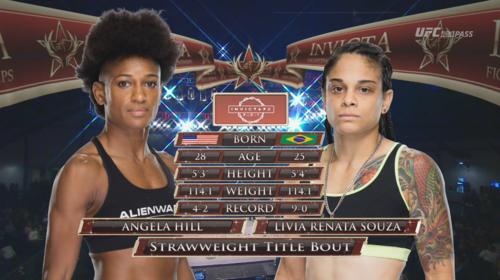 Headlined by a bantamweight title fight between champion Tonya Evinger (17-5) and California’s own Colleen Schneider (10-6), Invicta FC returns to UFC FIGHT PASS for Invicta FC 17. 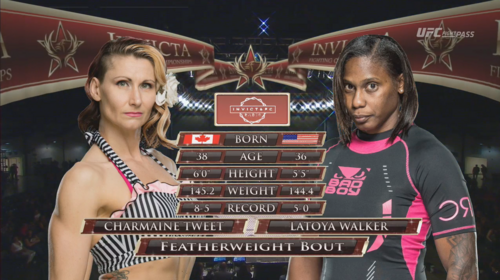 Tonya Evinger vs Colleen Schneider Invicta FC 17 May 7, 2016 (45:07) Tonya Evinger vs Colleen Schneider Invicta FC 17 from The Hangar at OC Fair in Costa Mesa, California on May 7, 2016. 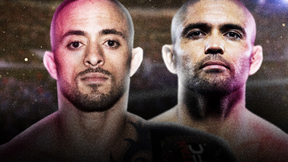 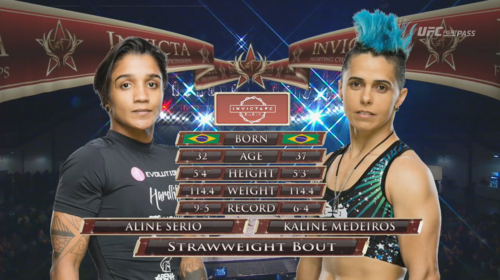 Kaline Medeiros vs Alline Serio Invicta FC 17 May 7, 2016 (21:29) Kaline Medeiros vs Alline Serio Invicta FC 17 from The Hangar at OC Fair in Costa Mesa, California on May 7, 2016. 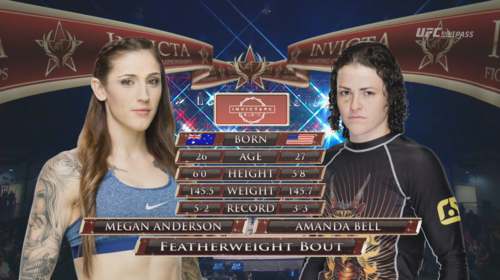 Megan Anderson vs Amanda Bell Invicta FC 17 May 7, 2016 (16:23) Megan Anderson vs Amanda Bell Invicta FC 17 from The Hangar at OC Fair in Costa Mesa, California on May 7, 2016. 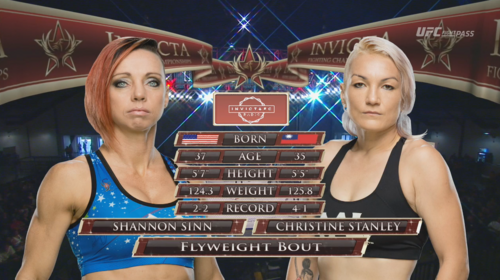 Christine Stanley vs Shannon Sinn Invicta FC 17 May 7, 2016 (28:51) Christine Stanley vs Shannon Sinn Invicta FC 17 from The Hangar at OC Fair in Costa Mesa, California on May 7, 2016. 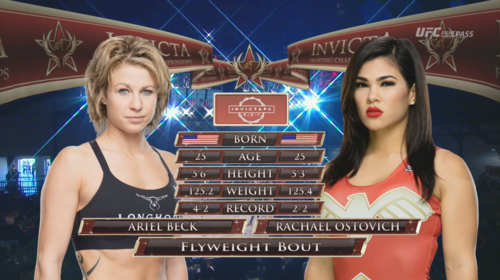 Rachael Ostovich vs Ariel Beck Invicta FC 17 May 7, 2016 (27:45) Rachael Ostovich vs Ariel Beck Invicta FC 17 from The Hangar at OC Fair in Costa Mesa, California on May 7, 2016. 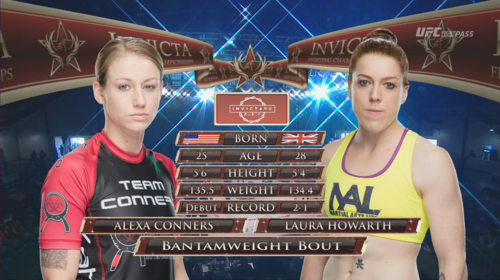 Laura Howarth vs Aalexa Conners Invicta FC 17 May 7, 2016 (27:34) Laura Howarth vs Aalexa Conners Invicta FC 17 from The Hangar at OC Fair in Costa Mesa, California on May 7, 2016.